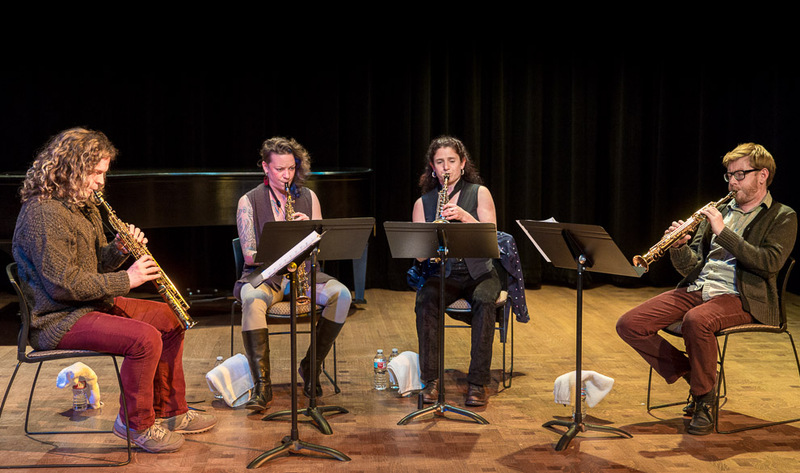 Last night at The Chapel Performance Space at Good Shepherd Center l to r: Patrick Booth, Kate Olson, Jessica Lurie, and Brad Linde. 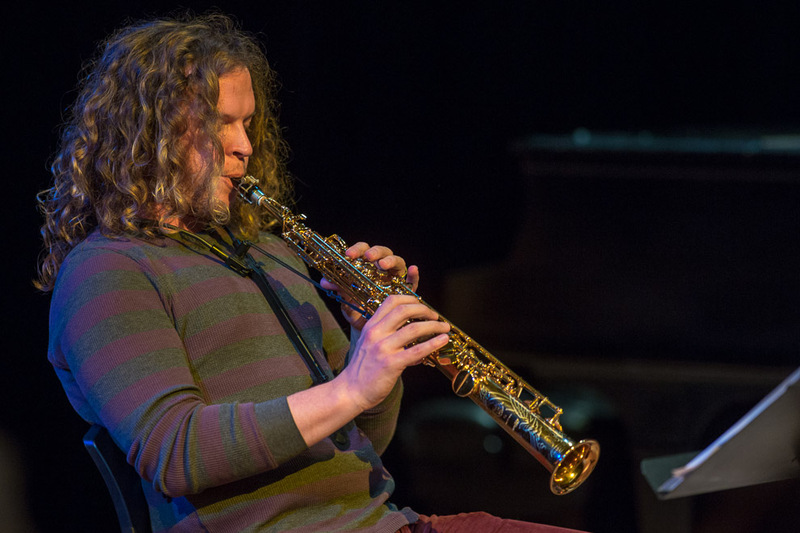 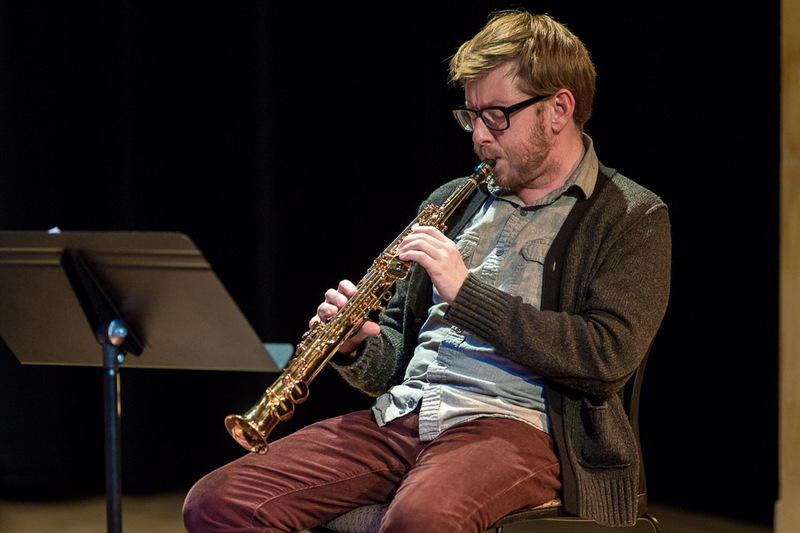 Brad Linde’s straightHORN, a soprano-saxophone quartet, celebrates the centennial of Billy Strayhorn with new arrangements and free improvisations on compositions of Duke Ellington’s three-decade collaborator. 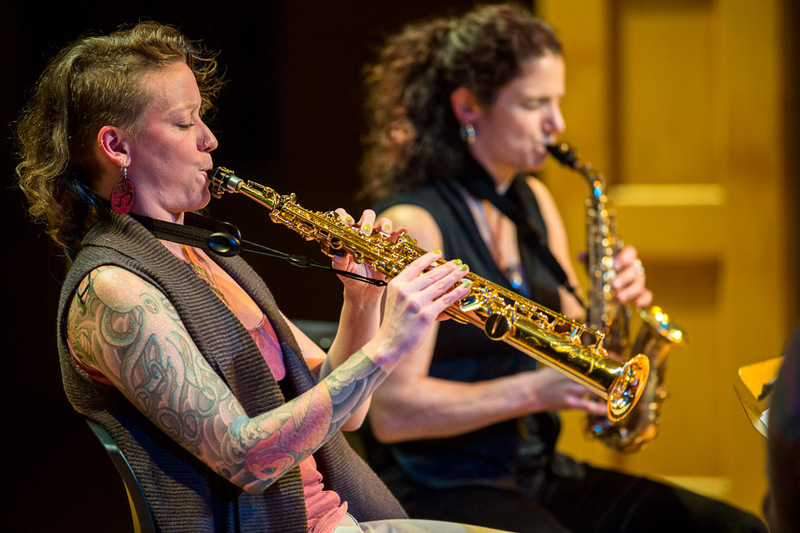 The quartet is a trio – Kate Olson of Seattle’s Ask the Ages, and many other bands; Patrick Booth, a jazz-classical improviser based in Traverse City, Mich.; and Brad Linde, who in Washington, D.C. collaborated often with the great Freddie Redd – that imports a fourth, “stray” horn from each city it performs in. 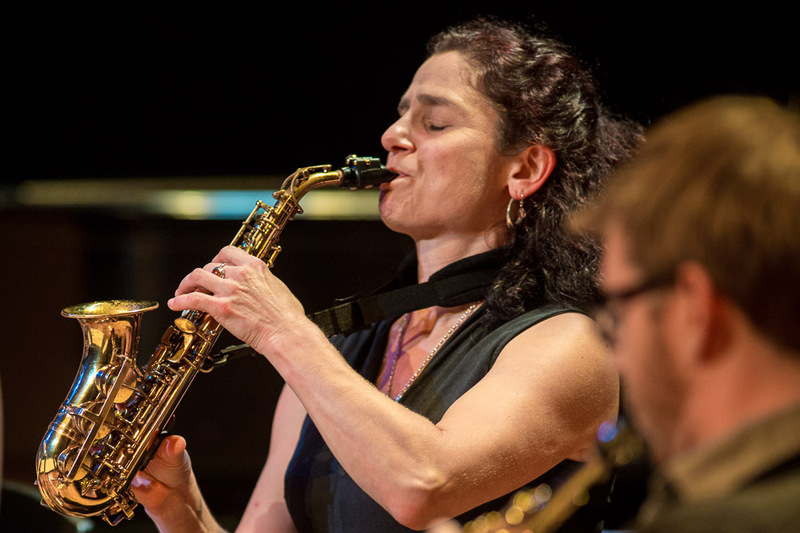 For its Earshot festival performance, the fourth horn is Jessica Lurie, who for many years was a fixture of Seattle’s progressive-jazz scene with the Tiptons and Living Daylights (see 10/25 Jessica Lurie Ensemble).